Dozens of residents of Ashdod demonstrated against the planned Gay Pride Parade in the southern city. 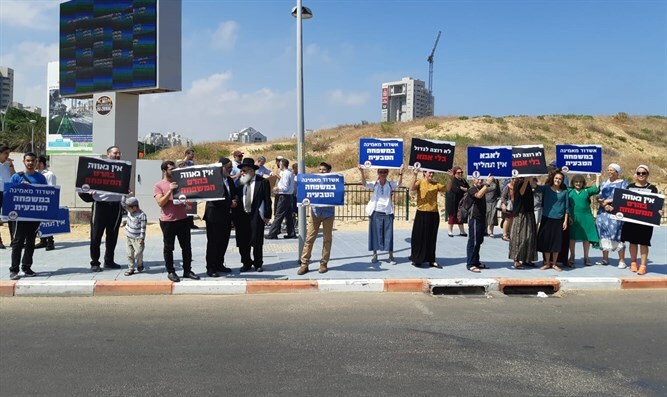 The demonstrators joined the local religious Zionist rabbis together with members of the "Hatem" organization, who said that "the normative family is our basis as a society. Harming the family crushes and harms us as a society." "There is a dark minority group that wants to bring us back to the pre-Middle Ages of Sodom and Gomorrah with their 'Pride Parades.' We've made progress and we are starting a family. There is no pride in the destruction of the family," the organization stressed.